I have piles of DG catalogs and documentation that I have begun to scan for preservation and fun, this page represents my progress in that effort. All scans were done by me unless otherwise noted. If you find any of the information unreadable or missing pages, please let me know. Some of the documentation has known issues, but as I am aware of them, I will try to fix them or note them here. Also available are machine readable audio files for loading software into the DG operating system. See my DG Software page. Right click on the file, and choose the option to "Save Target As...", then choose an appropriate directory on your computer. suding_scans.pdf - 1.9 Meg The earliest of all dg documents!! 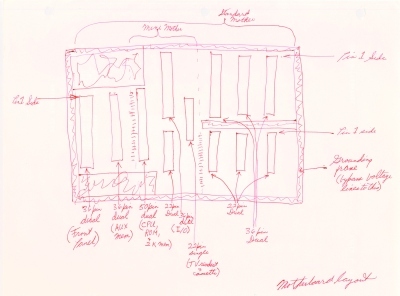 These are scans of Dr. Sudings hand-drawn plans for dg equipment, and a couple Mark-8 items. Bridge - Coming soon, & etc. DG2 - Coming soon, eventually. digital group clearinghouse - Coming soon, still. Software docs has it's own page. dg_packet.pdf - 2.4 Meg The original "Packet #1" for making improvements to the Mark-8 Minicomputer. This was the beginning of the digital group. Scans from my original copy, given to me by the author, Dr. Robert Suding. Bytemaster_Knob.PDF - 886 KB Made doc this for a friend, so he could make a new knob. dg_systems.PDF - 1.4 Meg This is the systems documentation, covering the board interconnections and front panel. tech_flyer-updates.pdf - 2.1 Meg Updates and system notes. Stuff they forgot to tell you. Read this first, sort of thing. dg_chassis.PDF - 23 Meg Cabinet assembly and wiring. keyboard.PDF - 1.9 Meg Cabinet assembly, schematics. rs_keyboard.pdf - 3.5 Meg Radio Shack keyboard, my original. Remember when Radio Shack sold stuff like this? monitor.PDF - 2.3 Meg Video Monitor cabinet assembly, and connection to the system. basic_box.pdf - 164 KB A simple DG cabinet on a budget. unrom.pdf - 211 KB Disable the DG ROM, has particular use in Z80 /8080 systems to free up page zero for programming. dg_12a_power.PDF - 285 KB 12 Amp +5 Volt supply. low_current_pwr.pdf - 1.4 Meg Low current supply for all other required voltages. 6502-01_OpSys.PDF - 3.1 Meg Operating system, with listings and ROM code. 6500-10A_MCS6500hwMan_Jan76.pdf - 8.2 Meg MOS Microcomputers Hardware Manual. 6500-50A_MCS6500pgmManJan76.pdf - 10.7 Meg MOS Microcomputers Programming Manual. 6800_OpSys.PDF- 8.0 Meg Operating system, with listings and ROM code. 8080_cpu.PDF - 288 KB No further details, just what you see folks. 8080_op_sys.PDF- 4.2 Meg Operating system, with listings and ROM code. z80opsys_32char.PDF - 2.4 Meg Operating system, with listings and ROM code. z80opsys_64char_new_ver.pdf - 2.6 Meg Operating system, with listings and ROM code, new version. z80_distribution_cassette.pdf - 431 KB Information on the programs included on the OpSys cassette. parallel _io_card.pdf - 2.1 Meg Four port I/O card. Serial I/O card pdf coming soon. tvc_64.pdf - 6.0 Meg Most common of the available video cards offered by dg. tvc-32.pdf - 1.8 Meg The earlier TVC card, and the less expensive -- My original. M6570_video_rom.pdf - 2.5 Meg Video ROM used in most dg video cards. tvc-32_to_64char.pdf - 69 KB How I modified my TVC-32 to display 64 X16 characters. These are my original notes (nice handwriting! ), this was before I designed the clock-doubler to avoid having to buy a new crystal. votrax_card.PDF - 6.0 Meg Very cool. diskmon.PDF - 3.6 Meg Version 1.0 documentation, anyone have anything later? dd_floppy_controller.PDF - 14.7 Meg Very rare item, Double Density Disk Controller, released just before the company demise. hmon.pdf - 2.3 Meg Hardware Monitor. Diagnostic program used to develop the DG Double Density Disk Controller. floppy_disk_controller.PDF - 11.8 Meg This is the most common disk controller. mini_floppy_drive.PDF - 2.3 Meg Very uncommon. DG used MPI (Micro Peripherals, Inc.) drives. nec_controller_chip.PDF - 2.4 Meg Used in the standard floppy controller. wd_dd_controller_chip.PDF - 2.3 Meg Used in the Double Density Disk Controller. Shugart_SA400_OEM_Sep78.pdf - 2.9 Meg From bitsavers.org. I don't know if this drive was ever used in a dg system. Shugart_SA400_Service_Apr79.pdf - 4.0 Meg Ditto & etc. Shugart_SA800_Maint_Feb78.pdf - 3.8 Meg More bitsavers. I have several copies of this, but this one has already been scanned! Shugart_SA800_OEM_May80.pdf - 2.0 Meg Ditto. Shugart_SA800_Parts_May77.pdf - 460 KB Ditto. Shugart_SA800_TheorOp_May78.pdf - 1.2 Meg Ditto. 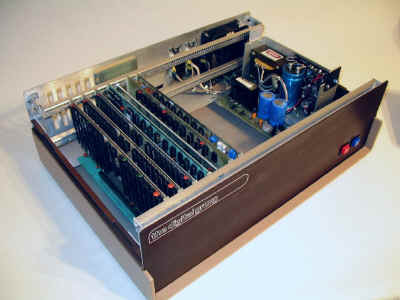 phideck_cabinet.pdf - 294 KB Cabinet assembly. hughies_hot_tips2.pdf - 7.0 Meg A staggeringly complete essay on the Phideck system, and how to make it work to spec., by Hugh Macdonald. phimon_start.pdf - 0.6 Meg "Getting Started With <Phimon>" Or, how to start Phimon for the first time. phimon.pdf - 10.5 Meg Phimon operating system documentation. phimon_upgrade_program.pdf - 91 KB Upgrade instructions to Ver 2.
printer_unpacking.pdf - 0.2 Meg Initial inspection and a few documentation corrections -- Don't skip. printer_addendum.pdf - 0.2 Meg Important information, and some PC board changes -- Don't skip. printer_revisions.pdf - 1.1 Meg Changes to the board, corrections, software, etc., &etc. printer_dg.pdf - 1.6 Meg At last! The actual printer documentation... Careful! Read all the corrections and changes! printer_cabinet.pdf - 6.8 Meg Putting it all into the DG cabinet. 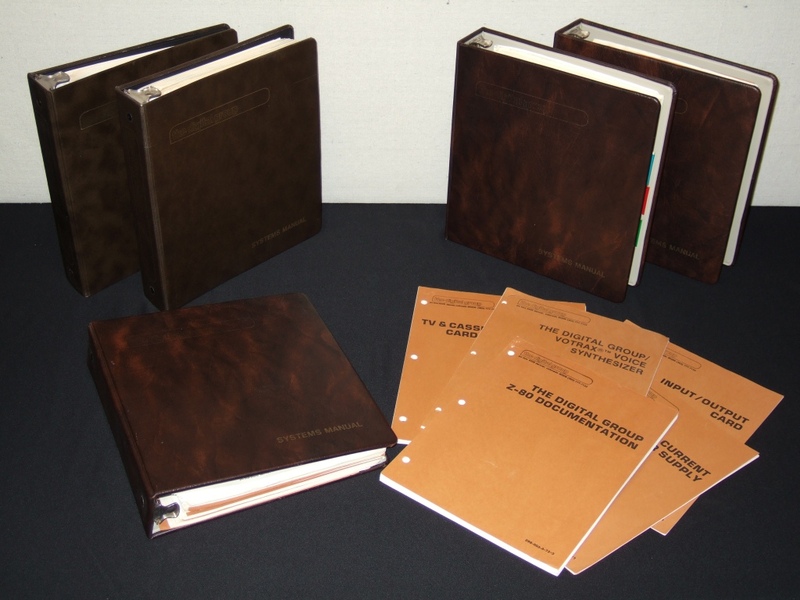 printer_pa_manual.pdf - 2.6 Meg The users manual from Practical Automation. order_examples.pdf - 491 KB Several order confirmations on DG stationary, just for fun.